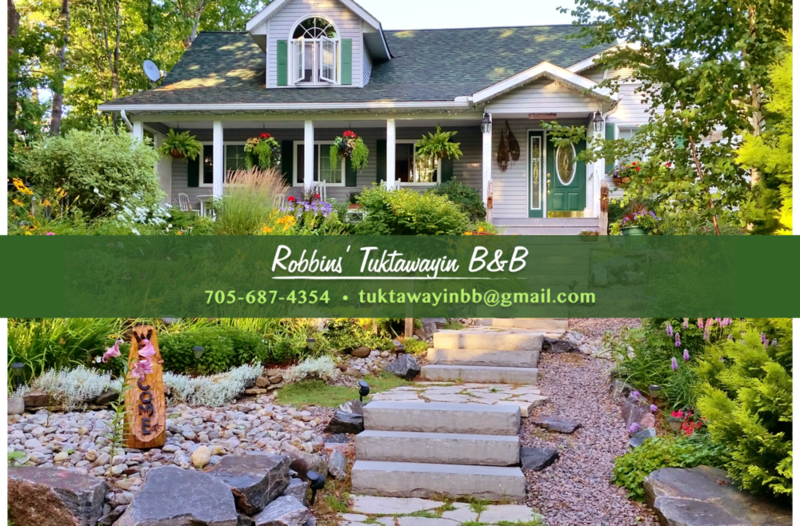 Featured on AirBnB and BBCanada, Robbins' Tuktawayin is a gem of a Bed and Breakfast found in Gravenhurst, Muskoka, ON. Located Lakefront, you can come enjoy what Muskoka has to offer. Swimming, fishing, farmer's markets, hiking and nature. Book your stay today! Welcome to our cottage style home in town and on water! We feel very fortunate to be able to live and play here in Muskoka, Ontario. This area is one of North America's most sought after vacation destinations and we are excited to be able to offer you a waterfront bed and breakfast in the Town of Gravenhurst. Our B&B is a 10 minute walk from main street shops and a 10 minute drive from world class golf courses Taboo and Muskoka Bay Club. Whether you come to attend an event, enjoy some much needed rest, or pursue your favourite sporting activity we would be honoured to be your hosts. 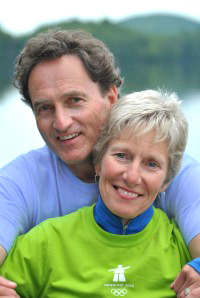 All guests are eligible to receive a 10% discount on Muskoka Steamship cruises. Let us look after that for you. 24 hour advance booking required for cruises which include meals.